On January 23, 2019 heaven gained another angel when Michele Christine White passed away surrounded by her family. 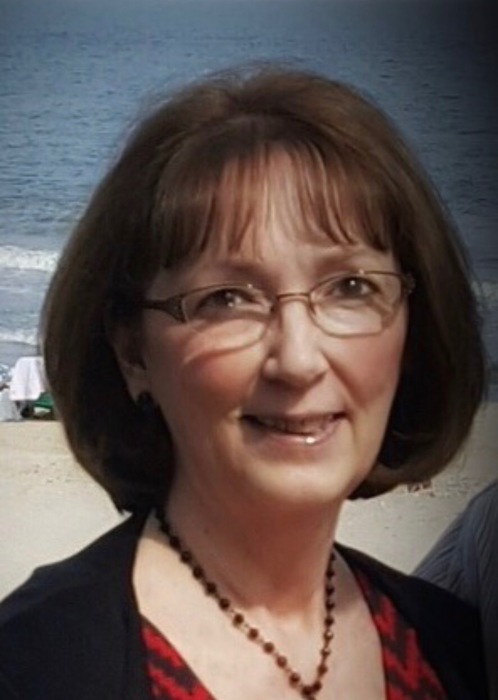 Michele is survived by her loving husband & best friend of 51 years Kenneth Allen White, her daughter Nicole Newman & husband John of Odenton, MD, three beautiful grandchildren, Mikaela, Logan & Maura Newman. Michele was proceeded in death by her parents Lotus & Elvin Michael Heuber. She is also survived by her sister Colleen & husband Andy Bowen of Beltsville, MD & brother Steven Heuber & wife Nancy of Burtonsville, MD. Michele is lovingly remembered by her nieces, nephews, extended family and dear friends. Michele was born on August 29,1948 in Washington, D.C. & grew up in Lanham, MD. She attended Bladensburg High School where she met her husband. Michele & Kenny were married on August 26,1967. They began their married life living in Lanham, MD then moved to Beltsville, MD. In 1973 Michele & Kenny welcomed their beautiful daughter Nicole. Michele started her career with C&P Telephone Company. After leaving the phone company she took a position as the assistant secretary at the Emmanuel United Methodist Church in Beltsville, MD. She completed her working career when she retired from the National Association of Manufactures in Greenbelt, MD. In 2004 Michele became the proud grandmother to Mikaela followed by Logan in 2005 & Maura in 2011. Michele’s true joy was being with her family. She was a loving mother, affectionally known as Mimi to her grandchildren & Aunt Shells to her numerous nieces & nephews. Michele was a gentle, loving soul who will forever hold a special place in our hearts. She is remembered by the things that she loved, her dog Jax, her family & friends, peach flowers & lace, cheeseburgers, movies, cruising and dessert. Family will receive friends to celebrate Michele’s life at the Donaldson Funeral Home & Crematory, P.A., 1411 Annapolis Rd, Odenton, MD 21113 on Monday, February 4, 2019 beginning at 10am with a funeral service beginning at noon. Directly following the service interment will be held at Cedar Hill Cemetery in Suitland, MD. Memorial donations in memory of Michele may be made to the American Lung Association at http://www.lung.org.